To India, with Tough Love is a thought provoking book that portrays a slice of India often overlooked by mainstream media. Jaya Kamlani’s colorful narrative of her personal journey through the villages and city slums brings a greater human understanding to social issues and the impact of globalization. Her extensive research shows how economic development and widespread corruption have fanned the flames of India’s cardinal sins -- toxic environment, poor sanitation, farmer suicides, caste apartheid, extreme poverty, injustice to women, and child exploitation. The book concludes with inspiring examples of social entrepreneurs who are driving change in India. While addressing the root causes of social injustices, the author acknowledges that many of these problems are universal. She reminds us that human rights and environmental issues cannot be ignored for the sake of growth if meaningful progress is to be achieved in any country. 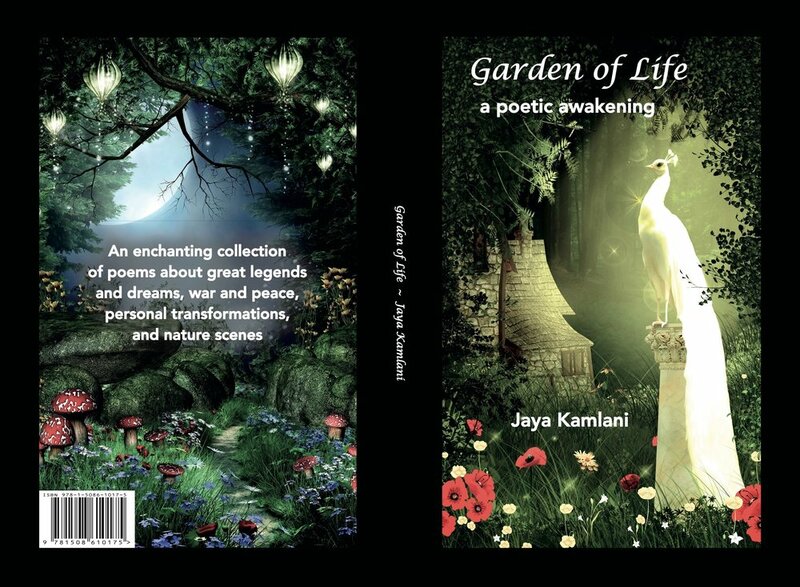 Garden of Life is an enchanting collection of poems about great legends and dreams, war and peace, the great divide of America, personal transformation, and nature scenes. This is no ordinary poetry book. This book is intended to bring change to America and to the world. The white peacock on the front cover stands for peace. Legends such as the life and teachings of the first Buddha – Siddhartha Gautama Buddha, and the story of the young Egyptian King, Tutankhamen. War poems, such as the Vietnam War, the 9/11 tragedy, American invasion of Iraq, the Syrian War, and even corporate war on America are penned in the book. Our beautiful world has been torn apart by hatred, violence, and pollution. It needs a lot of healing. Despite our different faiths, cultures and geographies, we must rise together in love, peace and compassion to support progress.